People are always on the lookout for tools that allow themselves to work faster, heck, this is the whole reason electric drill/drivers were created. But there is such a thing as having too much power, and you end up putting precision at risk. The Swift Driver aims to provide people with a faster way to drive screws, yet still allow the user the control required for certain tasks. Working with door hardware and brass screws is the first bad thing that comes to my mind when thinking about trying to drive screws with "more power". It is so easy to cross-thread a brass screw, and an electric drill does not do a good job of transferring the resistance to let us know we're seriously screwing up the installation. When using brass screws it is almost always best to user a hand driver. But hand drivers are slow. Yes hand drivers are slower, but the Swift Driver aims to be the fastest of the hand drivers on the market. 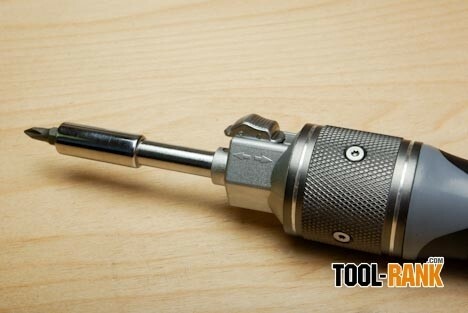 The Swift Driver is unique to the hand driver world in that it allows the user to drive a screw irrespective of the direction the handle of the tool is twisted. This means that if you twist the handle clockwise, the driver will spin clockwise, but if you twist the handle counterclockwise, the driver will still spin clockwise. The overall direction can be reversed by changing a setting. The Swift Driver is completely mechanical, and all of this trickery is done with some fancy gearing that is housed inside the tool. 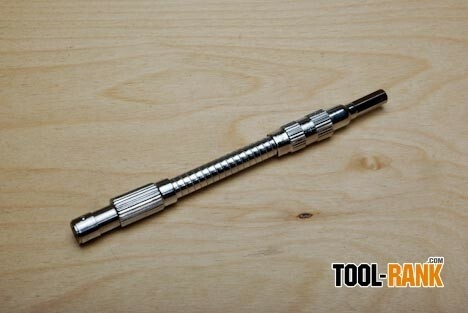 Driving screws is pretty easy with the Swift Driver, everything works quite well and very smoothly. 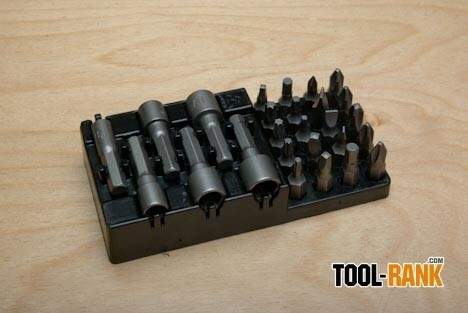 The way the tool is designed, you really can drive a screw twice as fast as you could with a regular hand screwdriver, but you still retain the control needed to prevent cross-threading soft-metal screws. The main problem with the Swift Driver design is that it requires both hands for the main function to work. 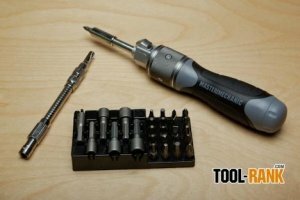 There is good news, however, that the Swift Driver can also be used like a regular hand screwdriver, and if there is enough resistance on the screw, it can function similarly to a regular ratcheting driver. I think the Swift Driver is a great tool, though the tasks to make use of its benefits are somewhat limited. If you are a fan of ratcheting drivers, or you do a lot of hand screwing, you might really benefit from the added speed that the tool offers. The Swift Driver comes in a 29-piece set that includes a flex shaft extension, and a variety of driver bits for around $25. This might be priced too high for casual user, but that's what sales are for. Read the review: http://ow.ly/b8slF Swift Driver from True Value. The Swift Driver is made by the same company that makes the Kobalt Double Drive.